Today is the last day of our board game auction. There are many great games (some that also come with our organizer) to grab at great prices! Also, as many of you are aware, my wife and I are pregnant with #9 due in September. I'm trying to raise funds to help with expenses. Tomorrow is the last day of our game auction. There's still some great deals to be had. You can view all the items here. To celebrate back to school (I realize not everyone's children go back to school this week but we have 7 that did). It will expire Sunday evening. Type "backtoschool" when checking out to save 10% on your ENTIRE order!! (Sale ends Sunday at midnight CST). This organizer is composed of seven different trays and will hold premium sleeved cards. 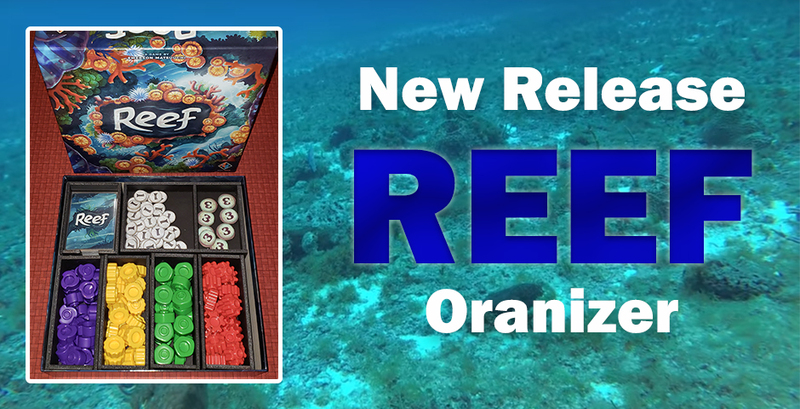 Four different trays hold the different reef components and two trays hold the point tokens. A final tray holds the cards. All trays can be placed beside the play area for very fast set-up and tear down! You can view more pictures and check out the listing of the product here. 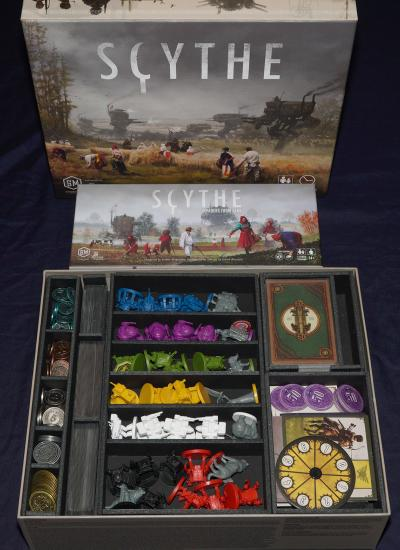 Many of you have purchased our Scythe insert! Well, I am very pleased to announce that I have purchased the Wind Gambit and Fenris expansions (along with the big box) and will be designing a final organizer to fit it all. I am going to do my best to re-use existing trays so that customers don't need to purchase an entirely new organizer. However, if that winds up to be the case, a significant discount coupon will be provided to any owner of an existing Scythe Insert Here organizer. Please follow us on Twitter and Facebook to be alerted when that releases!